That is the vision of Louis Rosetto. And motivated by this vision, he founded Wired in 1993 – the very year, when the Mosaic-Browser for the first time allowed to experience the Internet as a medium. 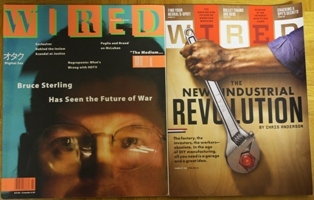 And to this date Wired has been the reliable chronicle of the Internet Age. What is fascinating about Wired though is the position this medium takes. 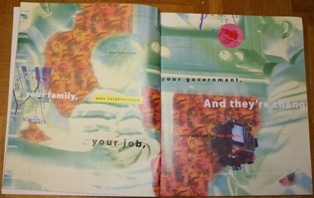 It stands wonderfully sublime between the technocratic positivism of IT periodicals and pc magazines on the one side, and on the other side the cultural pessimism of the classic papers’ feature pages, where the sheer digital illiteracy of their editors would prohibit a relevant discussion of the topic. Wired is different. Wired is radically liberal, open, even addicted to change – without ever advocating irresponsibility. Besides the joy from the changing ways of communication, (global) society and culture, the debate on climate change and sustainability as well as on education and health policy have been crisscrossing the coverage from the beginning. The only solution, Wired sees in progress, not in mere technological but right in social-cultural progress. A nice example for this is”The Rise of the Neo Green“. Legendary is the style: typography, layout and especially the application of spot colours make the monthly reading of the issues such an optical pleasure. Formative from start was the transferring of the content into the Internet, the Hotwired-Style. And despite all paid-content buzz, the printed issue sells just because (and not though) the content is available online immediately – and stays there. Great also how genuine photography illustrates and enriches every feature. The “Cretaceous–Tertiary Line” of the online world: size of the years 2000 and 2001 show colourfully what may be understood as crisis. The medium, or process, of our time-electric technology- is reshaping and restructuring patterns of social interdependence and every aspect of our personal life. 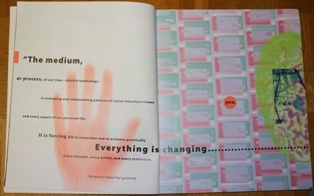 – Programmatic quote by McLuhan from the first edition.